La Federación Comercializadora de Café Especial de Guatemala (FECCEG), is a second-level cooperative comprised of 12 small producer cooperatives in the Western Highlands of Guatemala. This region includes parts of Chimaltenango, Huehuetenango, Quiché, Sololá, San Marcos and Quetzaltenango. In total, FECCEG represents 1,943 small farmers, of whom 529 are women. Seventy percent of members depend on agricultural production for their livelihoods. FECCEG focuses on strengthening producer networks, to increase its members’ bargaining power in the global market and to achieve fair prices for their agricultural products. They also focus on organic, value-added agriculture and projects that promote gender equality and food security. The process of preparing cherries for export begins on the farms, where farmers conduct the wet mill processes of sorting, pulping and drying the cherries. The beans are then transferred to the main FECCEG warehouse where dry milling and storage in parchment takes place. The coffee is then exported by the exporting arm of FECCEG, Exportadora de Café Especial de Guatemala. FECCEG has been working to create value-added products by establishing its own roasted-coffee brand, Kishé Coffee and Tea, in Quetzaltenango. The coffee, honey and chocolates used and sold in the store are all produced by FECCEG farmers. 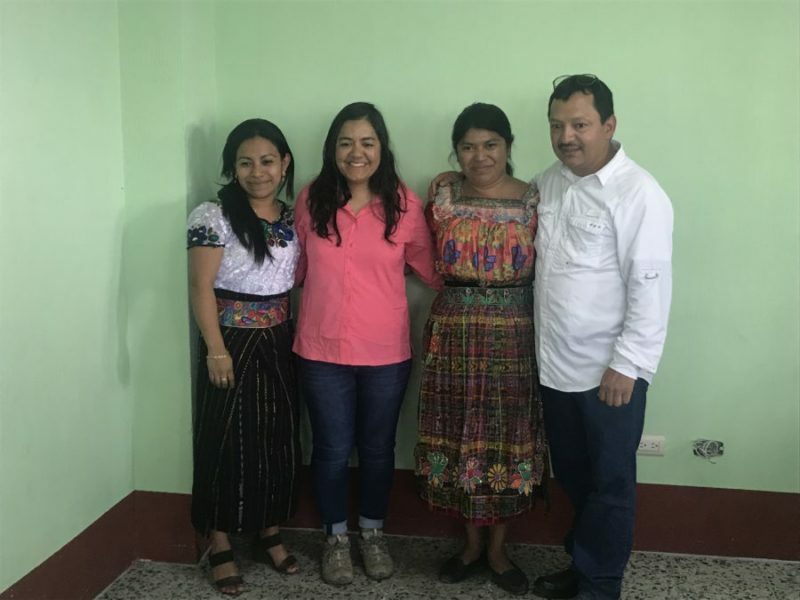 Caption: Erika Tran, InterAmerican's head of Sustainability, visits with managers of the FECCEG co-op in spring 2018.